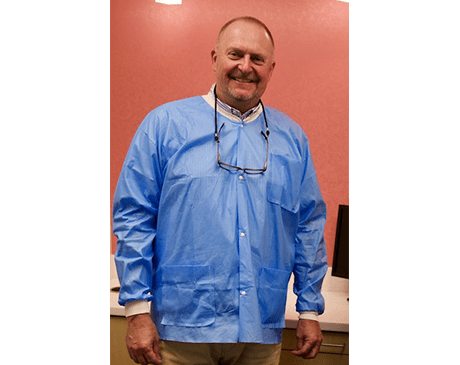 Scott A. Andersen, DDS, is an experienced and caring dentist who loves to put smiles on the faces of his patients at Woodlands Pediatric Dentistry, located in The Woodlands and Spring, Texas. He’s enjoyed owning and operating the practice since 1993. Dr. Andersen grew up in Dallas and graduated from the University of Texas at Austin, before earning his dental degree from the University of Texas Health Science Center in San Antonio shortly thereafter. He completed his residency training at MD Anderson and the Children’s Memorial Hermann Hospital in Houston, where he served as chief resident. Dr. Andersen is a proud member of the American Dental Association, Texas Dental Association, American Academy of Pediatric Dentistry, American Orthodontic Society, Southwestern Society of Pediatric Dentistry, Texas Academy of Pediatric Dentistry, Brazos Valley Dental Society, and Houston Academy of Pediatric Dentistry. He currently resides in The Woodlands with his wife and three children. In his spare time, he enjoys golfing, boating, snow skiing, and farming.